Friday night Mexican food is somewhat of a tradition for me. So Culinaria’s Best of Mexico at La Cantera took my typical Friday night tradition and multiplied it by 10! 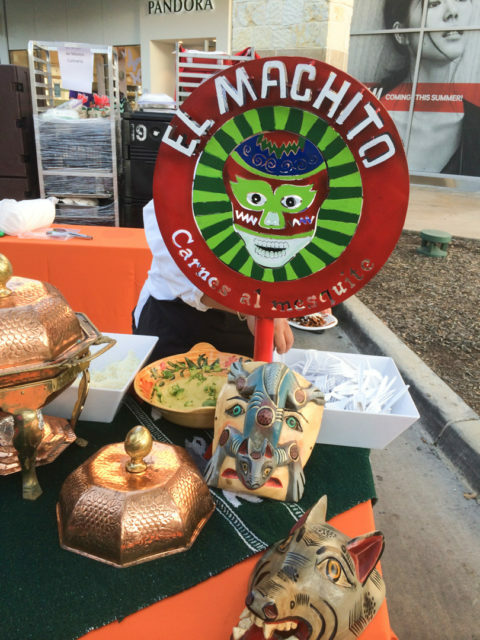 Chefs and restaurants from San Antonio and beyond served different variations of authentic Mexican fare. And it was all ah-mazing. The food, along with an impressive drink selection and live music, made for a festive Friday indeed. My first stop was at Chef Johnny Hernandez’s El Machito. I’m a huge fan of La Gloria but haven’t made it out to El Machito, so I couldn’t wait to check it out. 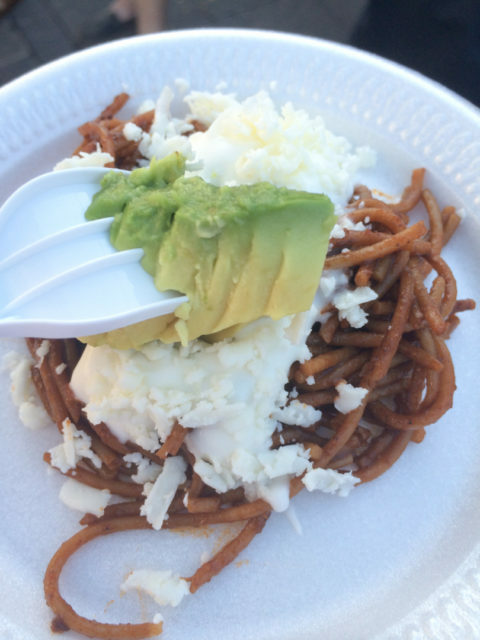 Their dish, Fideo Seco con Adobo, was like nothing I had ever seen—it begins with a sauce made of chile pasilla, piloncillo and spices. 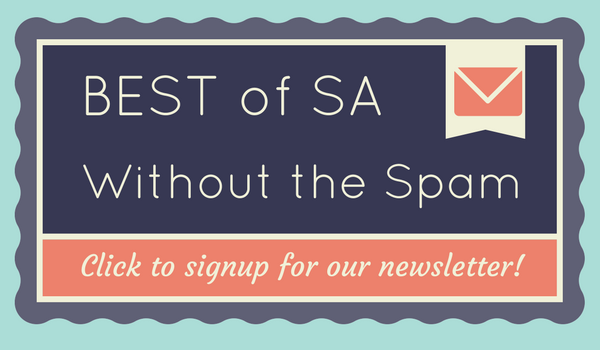 The chile sauce is then poured over your toasted fideo and cooked down until it’s dry, or “seco” in Spanish. It’s then garnished with avocado, crema, queso fresco. Mexican pasta? I can get into that. El Machito’s setup. Photo by Lindsey Craun. El Machito’s pasta dish. Photo by Lindsey Craun. Next I tried Z’Tejas’ chili pork verde with sweet cornbread. Anything drenched in salsa verde is a winner in my book, but the pork simmered in tomatillos, Anaheim and Serrano peppers, with melted Jack and Cotija cheeses had me wondering why I don’t visit Z’Tejas more often. 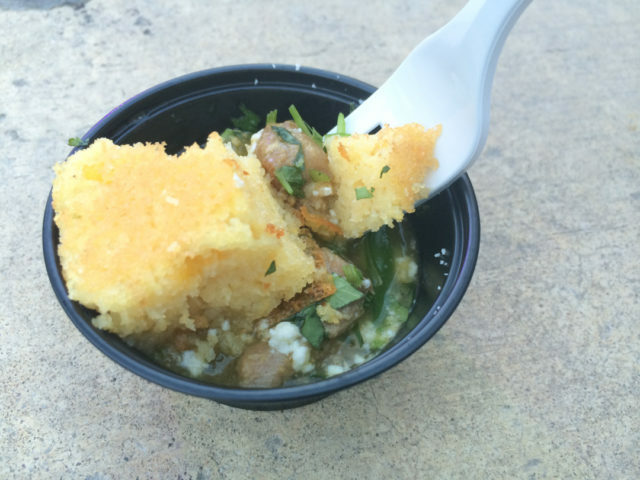 Z’Tejas’ chili pork verde with sweet cornbread. Photo by Lindsey Craun. Paloma Blanca is one of my favorite Mexican restaurants in town. And for San Antonio, that’s saying something. They served a dish I’ve never ordered at the restaurant—Tacos de Cochinita Pibil, a slow-roasted, marinated pork dish from Yucatan. 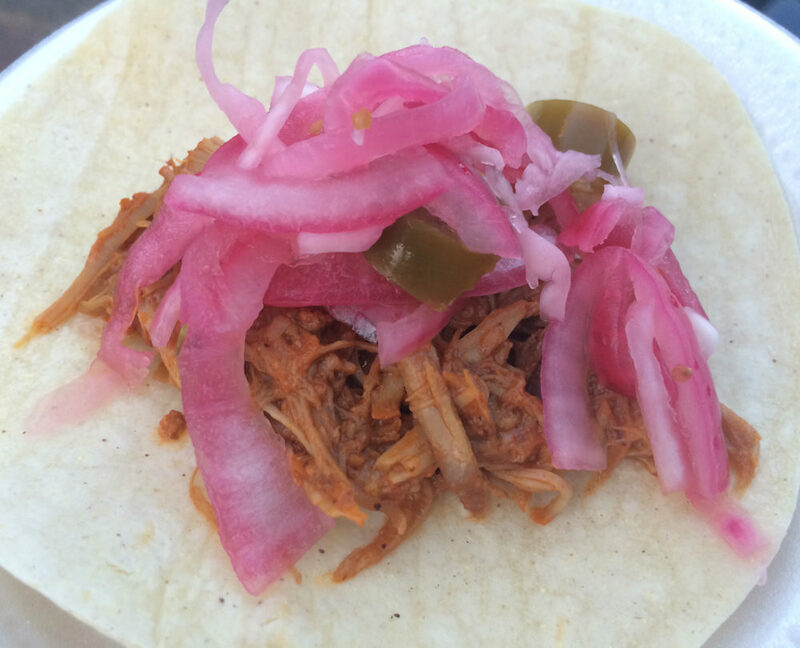 Not only was the pork delicious, but they grilled their corn tortillas seconds before serving each taco. Fresh tortillas make all the difference. 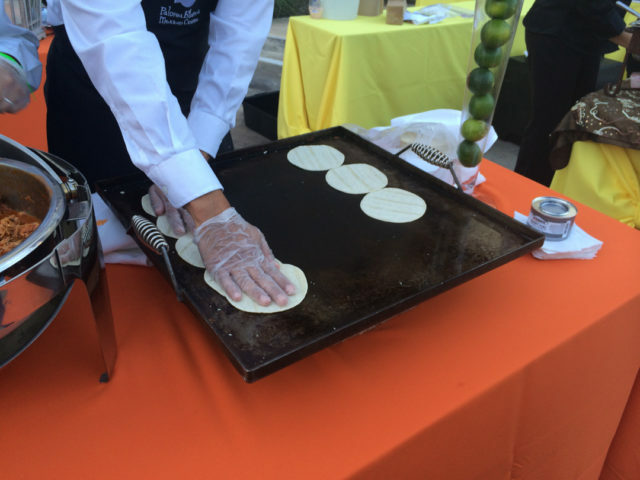 Paloma Blanca prepared fresh corn tortillas. Photo by Lindsey Craun. 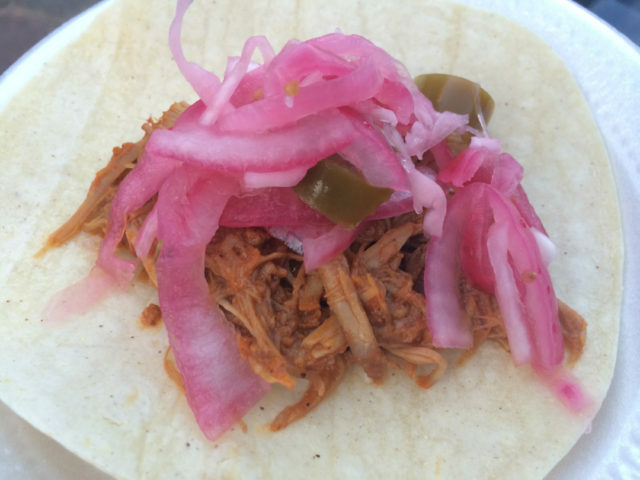 Paloma Blanca’s tacos de cochinito pibil. Photo by Lindsey Craun. We may have been at Best of Mexico, but we were lucky enough to get a taste of Colombia as well. Sabor Colombiano, a food truck soon-to-be brick and mortar restaurant here in town, had the longest line by far. 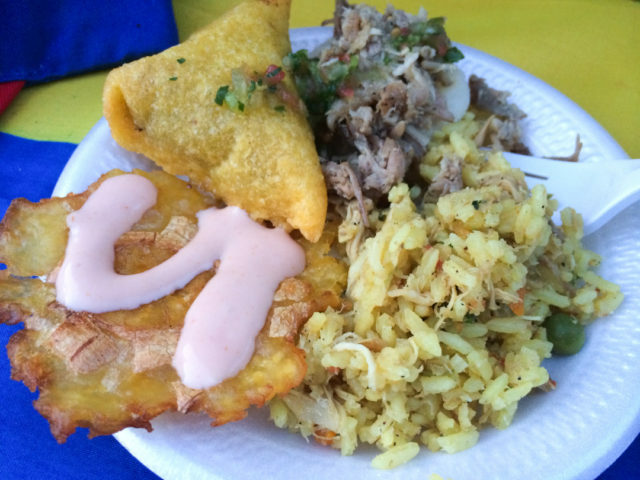 They served a plate-full of Colombian favorites: empanadas de carne, platanos fritos and arroz con pollo. The crew certainly did not sacrifice quality over quantity: everything was delicious. Colombian food from Sabor Colombiano. Photo by Lindsey Craun. By this point it seemed as though the crowd had made its way by the tequila tastings and onto the dance floor. 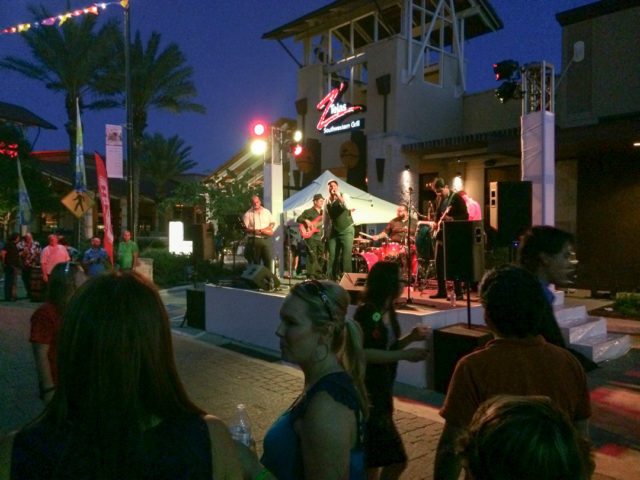 San Antonio-based salsa band Colao had people of all ages dancing until night’s end. Of all my Friday night Mexican meals, Best of Mexico definitely lives up to its name. Colao performing at Best of Mexico. 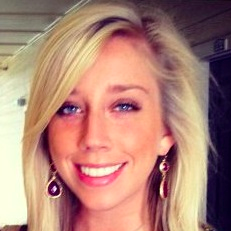 Photo by Lindsey Craun.